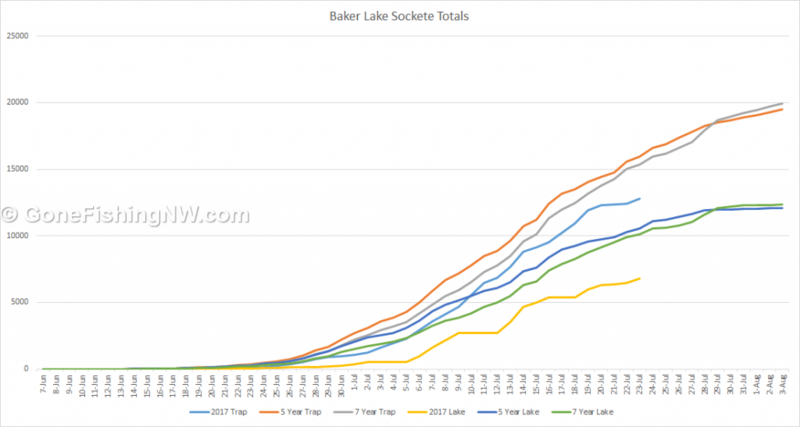 The state’s sockeye runs aren’t finished yet, but we are close enough to the end of the run that it would take a special miracle for things to change significantly. 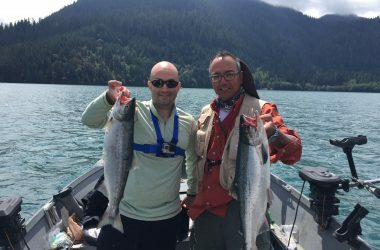 There are sockeye out there to be had, but certainly significantly less angler opportunity compared to past years. 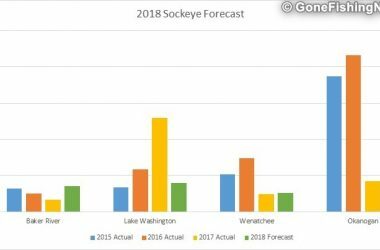 Pre-season Lake Washington was the dark horse with a relatively low forecast – compared to what the lake is capable of. Currently over 124k fish have cross the Ballard Locks fish ladder. The real number may be higher, since some fish will have gone through the locks themselves and weren’t counted. This is a huge difference from the originally forecasted 77k. This is much better than the 5 year and 10 year averages. 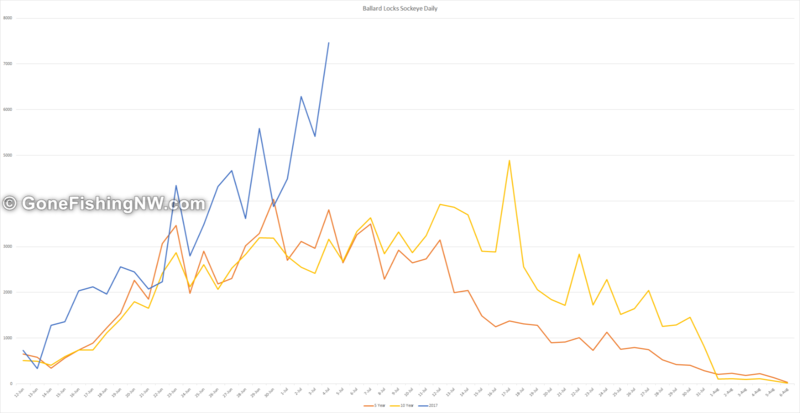 Fish are still coming through in the hundreds each day, but the number is showing a steady decline. 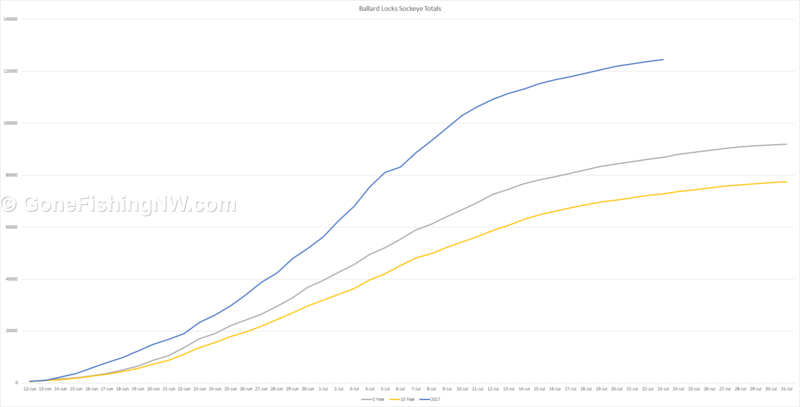 Likely the it will top out close to 130k total. 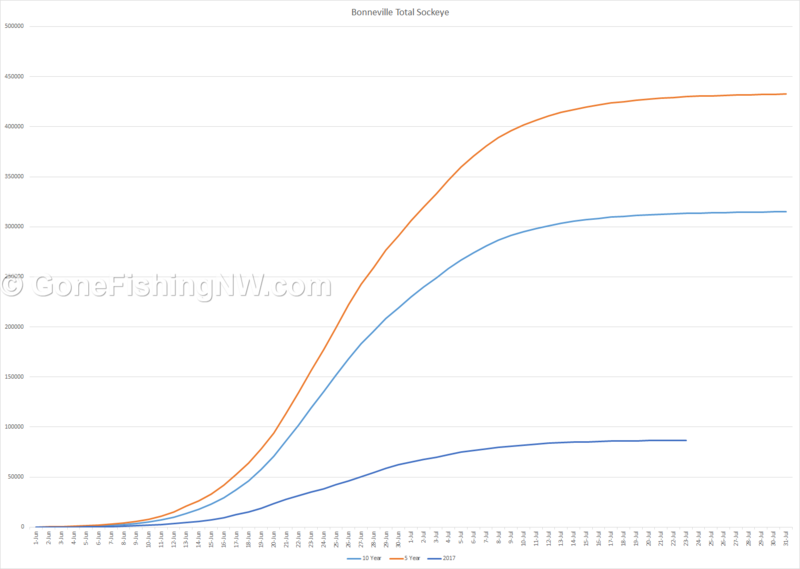 This makes it the largest sockeye run in the state this year, and the only one which had absolutely no recreational fishery. This is in large part due to the huge escapement goal of 350k fish. Some are pushing for a more reasonable escapement goal. While others are challenging why limited tribal netting is allowed when absolutely no recreational fishing is allowed. The Baker run is significantly under both estimates and previous years. While a handful of people report doing well – especially at the opener – most report that fish being caught are few and far between. Disappointing given this is currently the only open sockeye fishery in the state. Tribal netting does happen in the river before the fish trap, so with a pre-season forecast of 47k we would expect to see about 27k after netting. Right now, the total is at 13k to the trap. This number is about 3k less than the 5 year average for this date. Unfortunately, the recreational fishery in the lake is the last in line to get fish after the tribes and hatchery. So that 3k less than average hits the recreational fishery. If we assume the tribe has harvested close to their allotted limit (which should be close to 20k) then the run is currently totaling about 33k – which is significantly shy of the 47k pre-season estimate. Given we are on the back side of the run I don’t see how it is going to come anywhere close to getting 14k more fish to the trap. 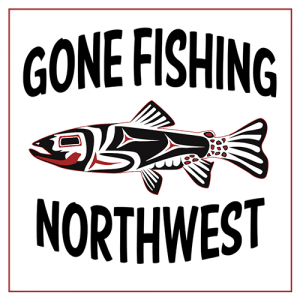 I hope the WDFW and tribes figure out a better way to divvy up the fish so that each side gets fair treatment when the estimate is proven to be significantly off. The Columbia is the road for two major sockeye returns – the Okanogan River run and the Wenatchee River run. The combined estimate if 191,200 fish, with about 70% of those headed for the Okanogan. 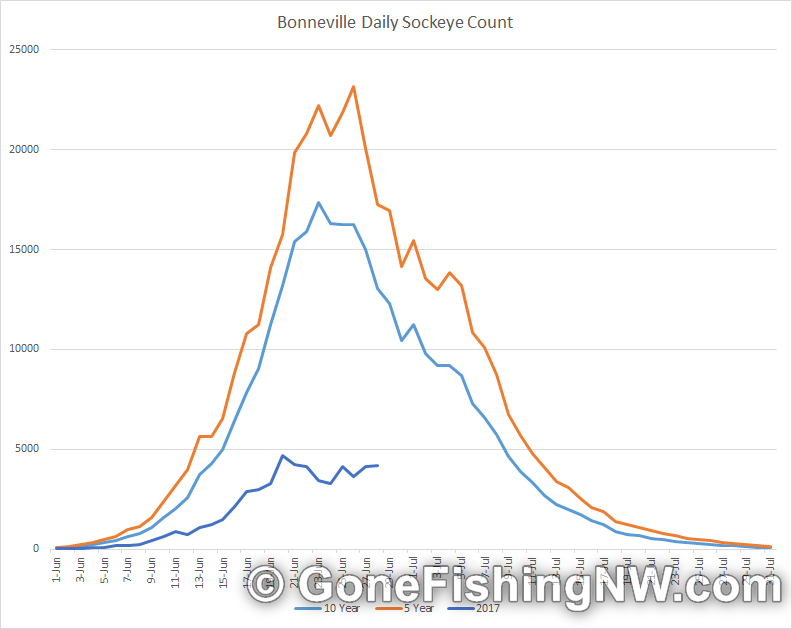 As of today about 86k sockeye have crossed Bonneville dam. We are very close to the end of the run with daily counts declining and currently about 100 fish a day. This is less than half the estimated fish. 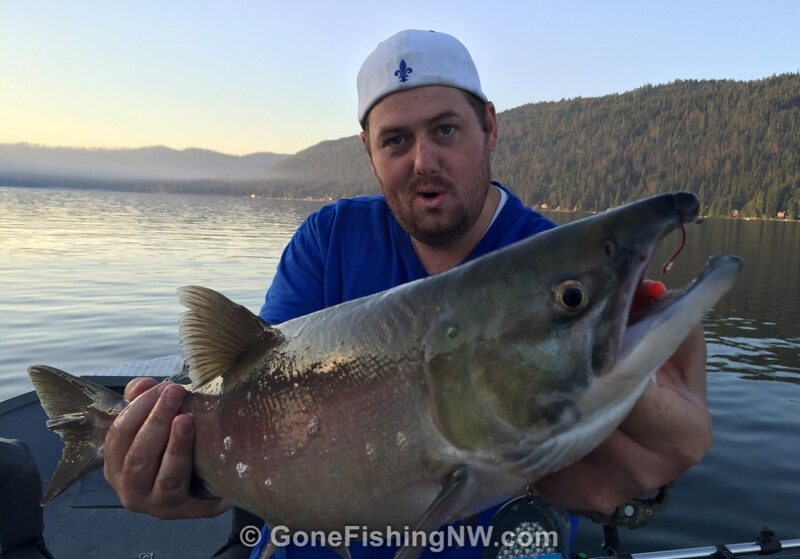 This has caused the WDFW to close the Columbia to sockeye fishing. Right now, that difference is 26k fish. 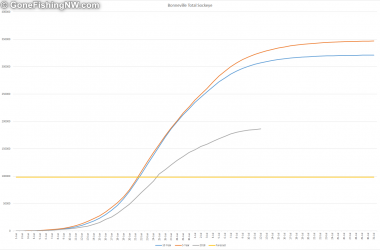 According to the WDFW’s website the escapement goal is 23k, which seems like it will be met. However, they want a minimum number of harvestable fish before opening a fishery and that total comes to 27k. Since I caught my first sockeye this is the worst year I can remember. 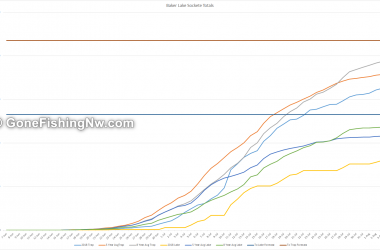 It is very disappointing to see both Baker and Columbia runs come in significantly below estimates. 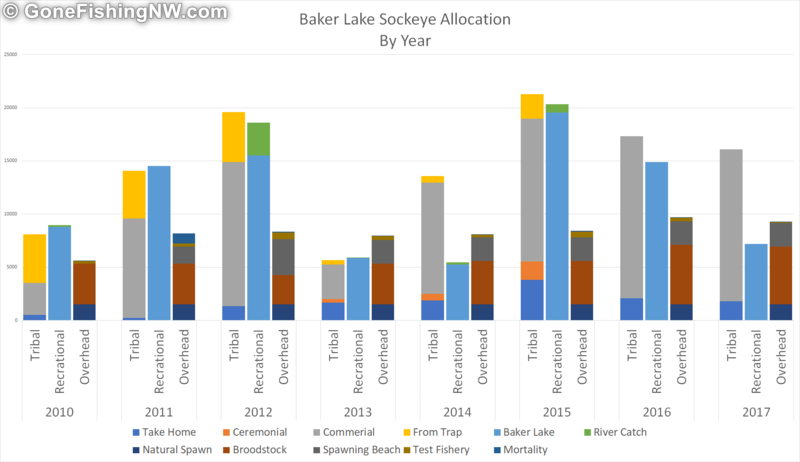 It is also disappointing that we can’t fish the 124k fish in Lake Washington especially since the reasons behind the high escapement seem lost in the depths of time.